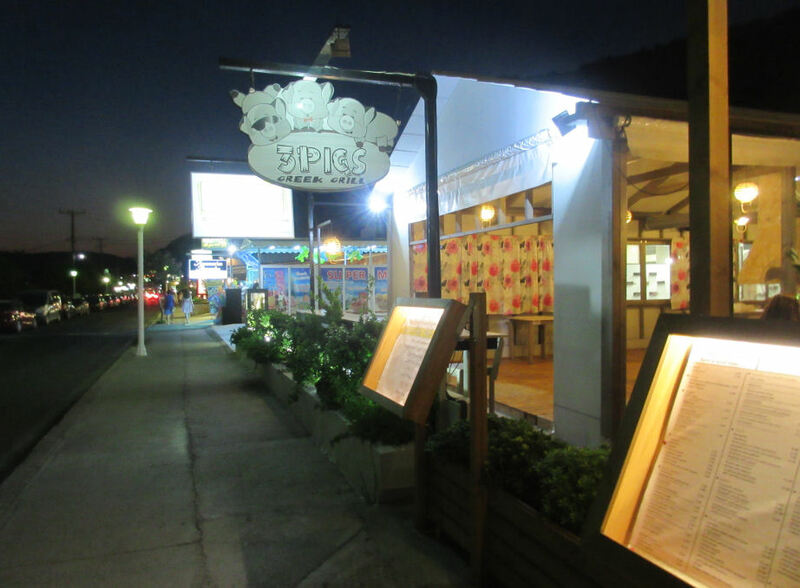 The 3 Pigs Restaurant is located in the Main Street near Artemis. Serving Greek cuisine from�traditional local family recipes. 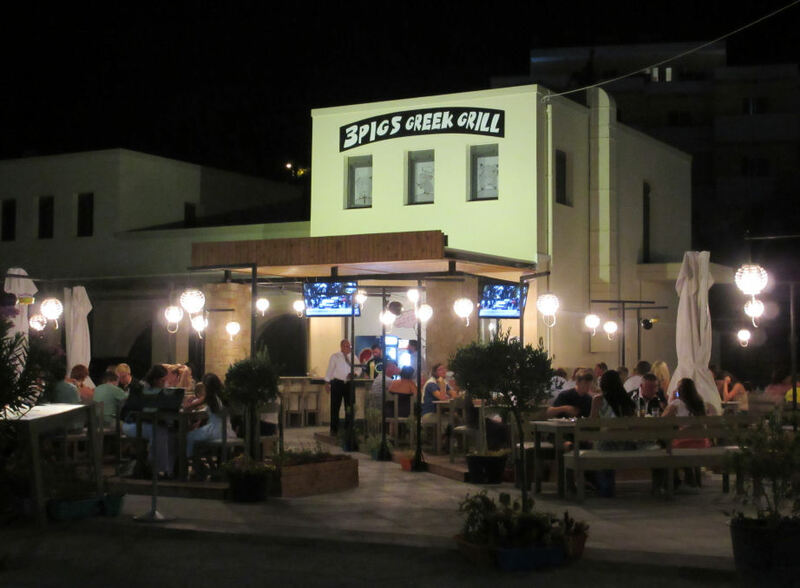 This is a great place to sample those traditional Greek dishes such as Kleftiko, Stifado, Mousaka and Stuffed Tomatoes. The 3 Pigs is names after the popular childrens story with the big bad wolf! The menu and more details can be found on the 3 Pigs Restaurant website. The photos on the website will make you hungry!